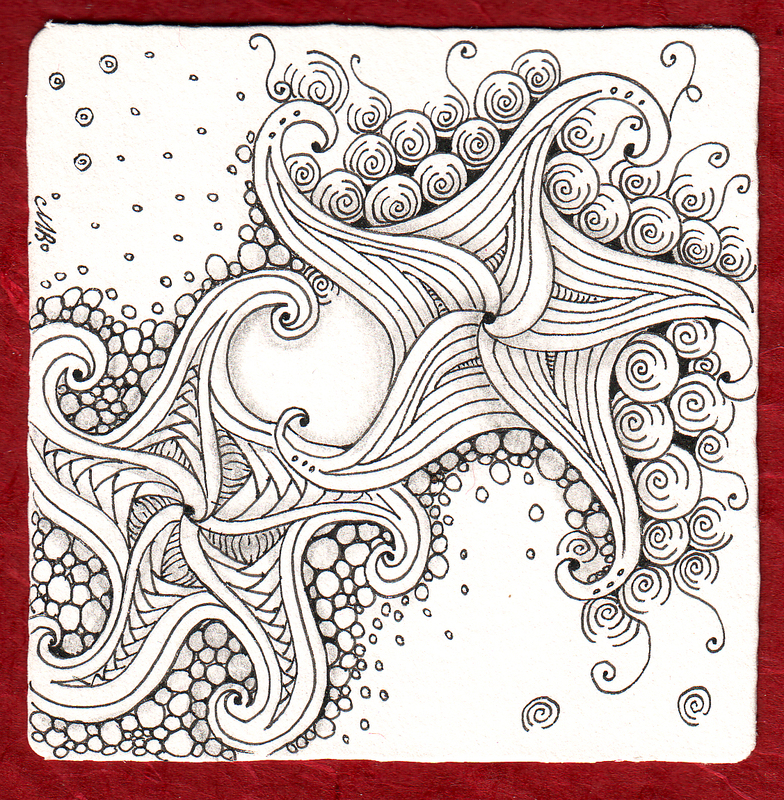 Fengle is Zentangles newest official tangle, it is also the subject of The Diva's weeekly challenge #63. Fengle has joined my list of favourites! can you see the triangle in my Fengle. The top one is my favorite. Great work with the fengle. Love the poem you made for it, and yes I can see the triangle. I also see a heart in the middle. Oh they are just superb. Well done! Love them! ...and your poem! Oh Shelly, this are two magnificent tiles! They're both marvelous! They have such a playful, whimsical feel. How beautiful these look. They look like they are floating. I have to agree with you - fengle is my new favourite too! 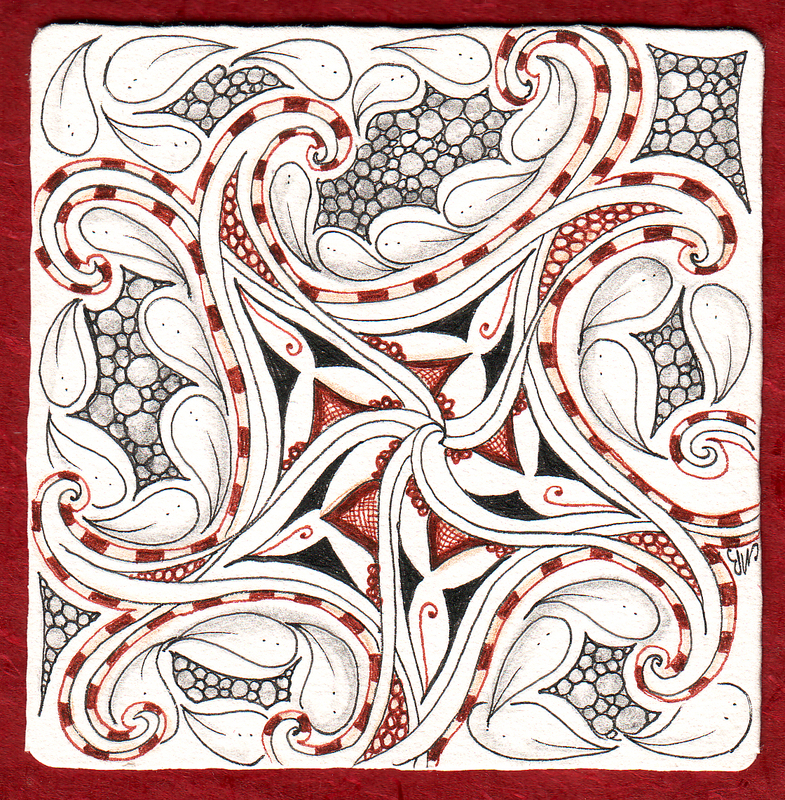 Your two tiles are magnificent. Beautiful fengles! Love the poem. 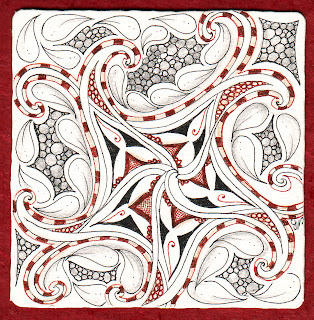 Very beautiful tiles .love the red highlights in the second tile. I love th top one even though they are both awesome! 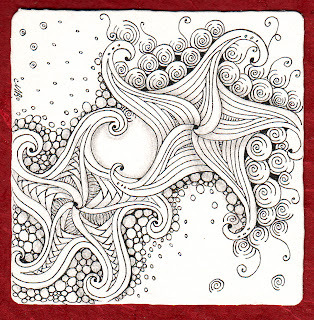 Gorgeous work!!! LOVE that first one!! How gorgeous are these! Wow. Fengle is wonderfull and this is such an inspiration! Just came across your wonderful fengals. Very inspiring.